Last month the European Commission dealt another blow to the Western Balkans by promising an accession strategy for Montenegro and Serbia while neglecting the other four Balkan countries, Hashim Thaçi, the president of Kosovo, writes in an exclusive op-ed for EURACTIV. 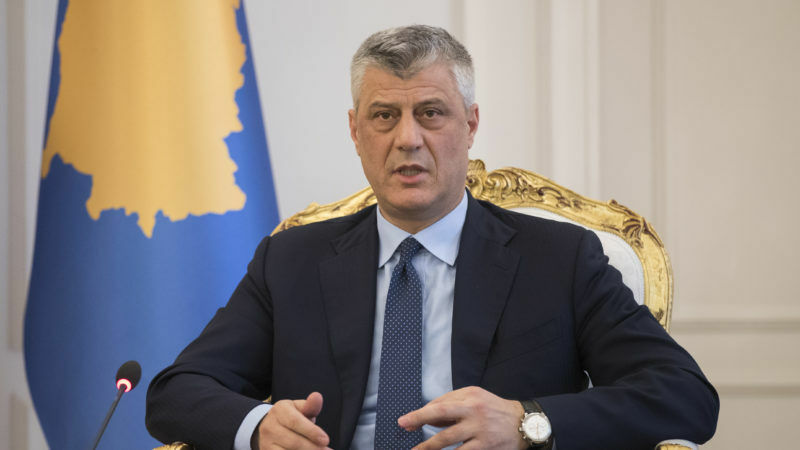 Hashim Thaçi has been the president of the Republic of Kosovo since April 2016. He previously served as prime minister. The Commission’s relationship with the Western Balkans, as well as the enlargement policy, has been a complicated one. Afraid of xenophobic sentiments mixed with enlargement fatigue at home, the administration was quick to promise that no further EU enlargement was to happen during the 2014-2019 mandate. While everyone familiar with the policy knew that an enlargement by 2019 was unlikely, the EU’s explicit policy had devastating effects on the region in terms of undermining reform efforts. The fact that Chancellor Merkel saw the need to launch the Berlin process for the ‘Western Balkans 6’, trying to keep the EU perspective alive despite the Commission’s statements, is very telling. Last month, the Western Balkans were dealt yet another blow by the current Commission. In a letter of intent released after the State of the Union address, the president promised a strategy for the accession of Montenegro and Serbia by 2025. The problem is of course that the other four Western Balkan countries were left out of this renewed and strengthened perspective. Do I need to mention that three of the four are Muslim-majority countries and three of the four have a majority or a sizeable Albanian population? This has raised speculations about whether it was an attempt to cater to the more right-leaning forces that are emerging throughout the EU. In any case, the threat of mounting Russian influence in Montenegro and Serbia should not be rewarded by the EU, just like the lack of similar threats or other alternatives from Kosovo should not be seen as a disadvantage. For Kosovo, the complications do not end there, unfortunately. Kosovo remains unrecognised by five EU member states. The EU seems equally convinced that some of its members can continue not recognising Kosovo’s independence and that Kosovo will one day join the EU. This is the very definition of Orwellian doublethink, unfit for a democratic and transparent institution. The half-baked solutions that were found to keep the process going without aggravating the non-recognisers (such as signing a Stabilisation and Association Agreement without complete clarity on the next steps), will eventually be tested, and a clear answer will have to be given: does Kosovo enjoy a European perspective, or not? Let me be clear, I am under no illusion that Kosovo would be ready to join the EU next year. We in the Balkans know well how much time this process takes. However, we are equally aware of – and disturbed by – the fact that the process is anything but fair. Visa liberalisation is a clear example here. Apart from being the last in the row, Kosovo was given 95 criteria when its neighbours received around 50. What’s more, Kosovo has arguably fulfilled all 95, if interpreted the way they were intended according to the formal roadmap, and yet its citizens remain isolated. The two “remaining” criteria have been and continue to be reinterpreted from EU for political reasons as a justification to prevent Kosovars from travelling freely. The Kosovo government had “endeavoured to complete” the border demarcation with Montenegro although the Assembly did not yet ratify it. However, the closer Kosovo came to the final stage, the more rigid the requirement became. This is not even mentioning the asymmetry of this requirement, since Montenegro was not asked to do the same in its visa roadmap. Moreover, Kosovo has addressed the criteria related to fighting organised crime and corruption to a far greater extent than any of the countries had to do in the visa process. We are being asked continuously to work “more” on the fight against corruption and organised crime, without any clarity of what would constitute the fulfilment of this remaining criterion. The justification often made by many on the EU side for why Kosovo is judged more harshly is that the EU is learning from its past experience. However, this only exposes the fact that we are dealing with shifting goalposts and that this system is anything but fair. In our case, it’s discrimination. We know that the road ahead is long and filled with obstacles, but we are ready to do the work. What we ask is simple. Formalise the accession perspective for all WB-6 countries. Any strategy for accession should include all the countries that enjoy such a perspective. Singling out some and indicating dates for few, automatically diminishes the credibility for the rest. That is demoralising and risks derailing the reform process. The advantages of equal treatment are even more obvious in the case of Kosovo and Serbia. In the context of the dialogue on normalisation of relations between our two countries, the main driving force of which is the EU integration process, asymmetrical incentivising is devastating. How do you expect the Kosovar people, the ruling coalition and the opposition to agree on gut-wrenching reforms in favour of a minority that once oppressed us if they see that the fruits of such a deal will only benefit the other side? The EU often reminds us that we must show leadership and take decisions that are neither easy nor popular but are in the interest of our country. Well, here you have a perfect opportunity to show us an example. Despite enlargement fatigue and the rise of the populist right – do the right thing! Enlargement is undoubtedly good for each of the countries of the region individually and as a group and would be good for the EU itself, as it would create stability and economic opportunity in a region ravaged by war less than 20 years ago. I still believe in the core values of the EU, I believe that the will of the people for a united and integrated continent will prevail. Kosovars are overwhelmingly in favour of EU membership and are fully and completely dedicated to European values. If given a fair chance and a clear perspective, we as people will do everything in our power to reform, improve and fulfil all of the Copenhagen criteria. But for that to happen, EU needs to end the isolation of Kosovars and tear down mental walls built on false and dangerous prejudices. The EU must do this and must do that, mr. Thaçi? Really? Then shutup when we vote for a referendum to join albania. Trust me, many of us under no illusion what the EU anr the far right is all about. We have our own populists too and i am voting for them. The time for dialoging with serbs and EU is over. You can all interbreed with them serbs. We do not belong in the EU, so keep your filthy paws away from our nationalism.